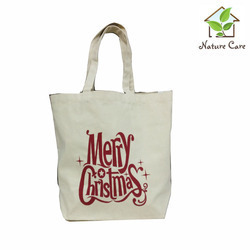 We are leading Manufacturer and Exporters of all kinds of cotton Christmas Bag . Christmas Print Drawstring jute bag. Print & Design can be customized. Our firm offers Christmas Bag that is made at our manufacturing unit that is rooted with advanced stitching machines. Dispatching these bags in committed time-period at the clients' end, we aim to attain their maximum satisfaction. Offered range is tested upon various parameters of quality before delivering to customers. "This cute storage box is designed for storing your bras. It's easy to carry when you have a travel. Meanwhile it is a perfect decoration for your wardrobe. Also you could buy it for your dear friends as a great gift. - Measures 15" x 18" x 6"
The Jute Christmas Bags are made from natural jute and are constantly demanded by our clients all across the globe. These are comfortable to carry and are also available in customized form adhering to the designs and specifications of our valued customers. Size :- Size :- 14"x10"
Description - To decorate the christmas tree elegantly, these large jute christmas sock bags are perfect choice. 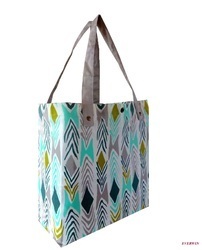 Top quality jute has been used to lend these bags durability and delicacy.